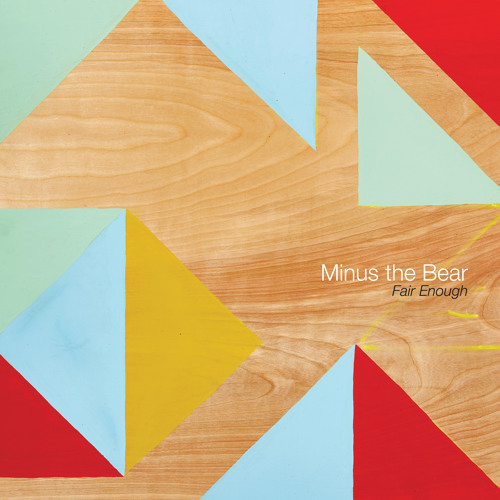 Minus the Bear’s Fair Enough EP was released in October and is the last recording for the band that started as a joke in Seattle. MTB has always been under the radar for many years with an enthusiastic fan base, and they sadly announced their break-up this summer and just wrapped up their final tour in their hometown. Minus the Bear’s final chapter of music is actually a perfect place for any new fans to land, as they make their laid-back math rock more accessible, such as on the spine-tingling title track. “Viaduct” is a great rocker that displays their talent of perfecting tempo and timing, which has made MTB one of the most influential bands within indie circles. “Dinosaur” ends up soaring towards the end and provides MTB’s signature combination of impressive vocals and lyricism supported by unique synth and larger-than-life harmonies. The fourth track is a remix of their single “Invisible” from 2017’s VOIDS. The remix by Sombear is full of mesmerizing synth and heavy bass beats. It turns the original track in to a club-ready dance number and leaves with a positive vibe even though the lyrical content of that track is anything but. It’s sad to think this is the last ever single to be released from Minus The Bear. The good thing is that through their 17 years of recording music, there is no shortage of great songs from the quartet’s discography even dating back to the early 2000s when the band received major points for using some of the most unique names for their songs (“Monkey!!!Knife!!!Fight!! !” or “Just Kickin’ It Like a Wild Donkey”). The good thing with their last effort is that it was not rushed or haphazardly thrown together because they were already done. Instead, it’s a proper send off for their long and impressive life as a band. Fair Enough is out on Suicide Squeeze Records and available on Bandcamp. Click here for the complete list of our Favorite 20 EPs of 2018.